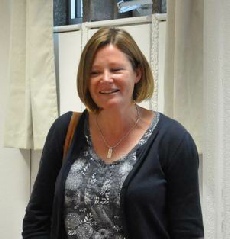 TDCS Committee members received a presentation on 23rd August 2016 from Anna Wilson, Senior Development Officer (War Memorials) at Civic Voice, about the First World War Memorials Programme, Civic Voice, the national body for civic societies, is a partner in a national programme to help communities take more notice of their local war memorials, to see what state they are in, and, if necessary, take steps to improve their condition so that they are once again fitting tributes to the dead by the end of the First World War centenary in 2018, and beyond. 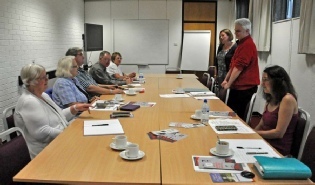 Civic Voice is running workshops all over England to train people how to carry out these simple condition surveys and to log the results with the War Memorials Trust, a charity which offers grants for memorial repairs and conservation. Nationally, it is estimated that 10% of war memorials are in poor or very bad condition and Civic Voice wants to help communities change this. Civic Voice is encouraging local civic societies such as TDCS to take the lead in engaging our local communities. There are reportedly some 70 recorded war memorials in the Tamworth area, but the condition of only a handful of these is known at present. TDCS suspects that there are probably more in existence than is recorded, especially as memorials can be objects as well as structures. For example, a 90 year old gentleman proudly pointed out to us recently the altar candlesticks in a local church that are inscribed and presented in memory of his uncle, a lance corporal who died in WW1. Anna says that these count as a war memorial. A number of our local churches are known to have stained glass memorial windows to the dead of the world wars. So, memorials are not just the obvious obelisks and crosses etc standing in local churchyards, cemeteries and public spaces. There is the opportunity to identify and survey memorials from conflicts other than WW1 as the War Memorials Trust is the charity that works for the protection and conservation of all war memorials across the UK, for all conflicts. There are estimated to be over 100,000 war memorials in the UK. Many of these are treasured but sadly others are neglected and vandalised or left to suffer the effects of ageing and weathering. The War Memorials Trust wants to ensure each and every memorial is preserved, and that the individuals recorded, from whatever conflict, and whether civilian or service personnel, are remembered. .
Anna Wilson has agreed to organise a training workshop for TDCS on Saturday, 21st January 2017 between 10.00 a.m. and 2.00 p.m. in Tamworth Central Library. 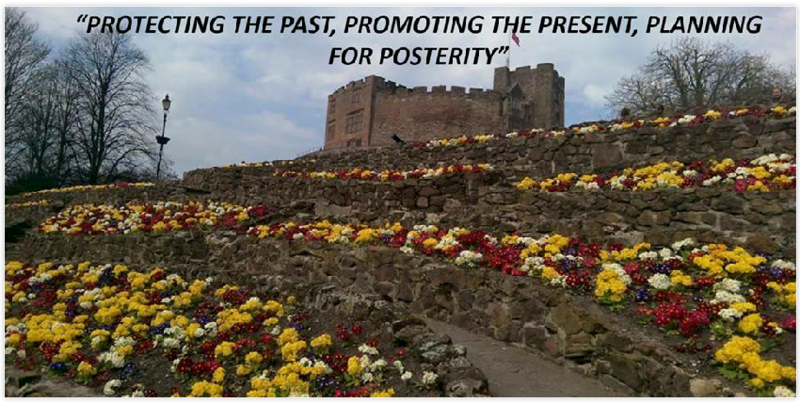 The purpose is to train attendees in the War Memorials Programme and conservation issues, and how to conduct a condition survey. A town centre war memorial or two will be inspected as a practical example of surveying and photographing. 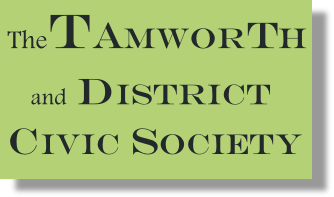 Attendance at the workshop requires a commitment to then participate in surveying and documenting Tamworth and District war memorials. There will be a co-ordinated survey programme. Each volunteer will have allocated sites. A follow-up meeting will review what has been discovered by the volunteers. The TDCS Committee thinks this is a very exciting and worthwhile "hands-on" project that will do Tamworth and District a great service in identifying and documenting, all its war memorials, and helping them, where needed, by trying to secure grants and conservation work available through national sources. We will thereby also be remembering and honouring all those on our local memorials who served and sacrificed.